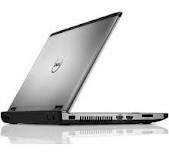 Dell haven’t compromised on the specifications for the Vostro range. and Intel® HD graphics, these laptops are powerhouses of PC operation. specifications and performance as they are in their longevity. We’re confident that a Dell Vostro laptop is what you’re looking for – so, why buy from ITC Sales? standards the Dell Vostro range offers, backed up by Dell themselves. 3460 laptops, or just to check our current stock availability.